FACT CHECK: Was the Arch of Baal Erected in Washington Before Christine Blasey Ford's Testimony? The Arch of Palmyra appeared on the National Mall, but its relationship to Senate Judiciary Committee hearings was purely coincidental. 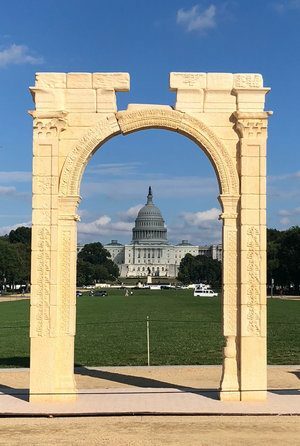 A photograph shows the Arch of Baal erected on the National Mall in Washington, D.C.
On 26 September 2018, the Institute for Digital Archaeology unveiled a replica of Palmyra, Syria’s iconic Triumphal Arch on the National Mall in Washington, D.C. 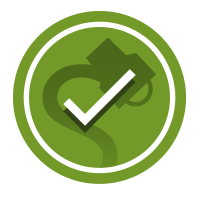 The following day, Christine Blasey Ford and Supreme Court nominee Brett Kavanaugh testified before the Senate Judiciary Committee about sexual assault allegations stemming from their time in high school. While the author of this article may see the Triumphal Arch as some sort of symbol related to abortion laws and a seat on the Supreme Court, American politics aren’t the focus of the Institute for Digital Archaeology (IDA). The IDA uses state-of-the-art technology to replicate ancient structures as part of their mission to preserve our collective cultural heritage. When the Monumental Arch in Syria was destroyed by Islamic State extremists in August 2015, the IDA set off to recreate a portion of the UNESCO World Heritage Site. NY Curbed. 16 August 2016.